A key feature of present-day triumphant AFCON teams has been their flexibility, with tactical variance going a long way in propelling them to glory. The tactical unconventionality served by the back three/five Herve Renard activated with Ivory Coast in 2015 and Morocco in this edition, plus the in-game flexibility he tinkered with Zambia in 2013, have caused issues for teams, and their coaches have been unable to come up with any panaceas. It’s probably the reflection of the one-dimensional coaches that dominate the touchlines of African international football. No coach has proven his tactical acumen in recent AFCONs more than Renard, and his tournament record – just 2 losses in 22 matches since the 2010 festival – is a testament to the resiliency of his teams. 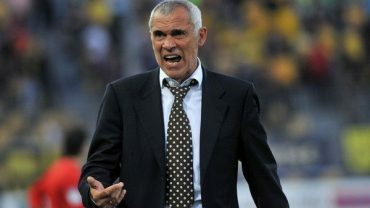 The meeting between Egypt and Morocco will see Renard and Hector Cuper – two of the finer tactical minds in the tournament – go head-to-head. The Argentine is no tactical slouch and he’s arguably the only coach in the tournament able to out-tactic Renard in the purest sense – either by playing his formation or, giving him a taste of his own medicine, by playing conservative football. The logical predication for the North African encounter is a stalemate. Two realistic coaches fully aware of the limitations of their teams have set up to mask the weaknesses and heighten their strengths. Whereas Egypt’s major strength is pace on the break and Mohamed Salah is essential to that, Morocco’s most potent weapon are the set-piece deliveries of Faycal Fajr and Mbark Boussoufa. As the game will be played on the controversial, just about playable Port Gentil pitch, Fajr and Boussoufa could have a very key role to play. The Pharaohs have more attacking oomph, though not completely unleashed and mostly supplied by Salah, while the lack of a recognised top-level attacker, despite the best efforts of Aziz Bouhaddouz and Rachid Alioui in recent games, could prove to be the undoing of Morocco. Based on what we have seen so far, this is likely to be a game with a few chances and seeing it decided on penalties would not come as a surprise to those that have watched these two sides so far. The left wing, with the tireless runs of wing-back Hamza Mendyl, has heavily featured in Morocco’s games so far. Mendyl will contest that territory with Mohamed Salah, and it promises to be the most interesting one-to-one duel of the quarter-finals. Mendyl was more reserved against Wilfried Zaha against Ivory Coast but for much of the tournament he has been one of Morocco’s main attacking outlets, though it is more his energy and solidity in defence than his quality in the final third that has won him plaudits. Although Morocco do have the numbers at the back to cover for him, with Romain Saiss usually covering for him when he ventures forward, we may see another reserved performance from the 19-year-old as he is advised to contain the zip of Salah. Saiss, too, will need to be extra vigilant as he has been the ropiest of Morocco’s back three. Can in-form DR Congo conquer tournament-primed Ghana? The Black Stars of Ghana sealed qualification by their second game with a win over Mali but their loss to Egypt, which saw them finish runners-up, justifies pre-tournament concerns many had over them. True, we have been here before with Ghana, when they lost to Senegal in their first clash of 2015 yet still went on to reach the final, for example, but the recent defeats to Egypt, including in World Cup qualifying, have shown there is a way to stymie them. DR Congo are a cavalier side unlikely to show the resoluteness that Egypt did, and though they rode their luck and won ugly against Morocco in the group stages out of necessity, to win against Ghana would signal their arrival to the main peloton of African football. Their main concern will be if Ghana score first. For all their faults, Ghana, with their been-there-done-that experience, have shown they are as good as any side at the tournament at sitting on 1-0 leads. The best three midfield partnerships in the tournament, in terms of their equilibrium and productivity, so far have been Senegal’s Chekhou Kouyate-Idrissa Gueye, Tunisia’s Mohamed Ben Amor and Ferjani Sassi, and Morocco’s Mbark Boussoufa and Karim El Ahmadi. The performances of these midfield pivots could have an impact in their respective quarter-finals this weekend. The best performance out of any of them undoubtedly came in Senegal’s win over Zimbabwe where Kouyate and Gueye dominated the midfield with what seemed like automated productivity; a dizzying blur of interceptions, tackles and Muntarian work-rate. With qualification sealed coach Aliou Cisse gave them a well deserved rest for the Algeria game. They will need to be at their best again to recreate their dominance over a Cameroon midfield which has been busy, particularly Sebastien Siani, and will match them physically. The return of Ben Amor from injury in Tunisia’s win over Algeria coincided with a better balanced Tunisia midfield, allowing Sassi to do his artistic duties. Ben Amor, arguably Tunisia’s player of the tournament so far, has been more combative (quietly so), more mobile and added a dose of creativity himself. Boussoufa and Karim El Ahmadi, both 32, have played with the class, vigilance and full-heartedness of men well aware it may be their last chance to win an AFCON so far, but with the Renardian energy levels belying their years. They have yet to miss a minute of Morocco’s tournament so far. They will face two disciplined albeit uncreative midfielders in Tarek Hamed and Mohamed El Nenny for Egypt in what will be their toughest battle so far. Both Burkina Faso and Tunisia have yet to cement their main starting striker. Burkina Faso coach Paulo Duarte has started with a different striker in each game. Chronologically, it has been Prejuce Nakoulma, Banou Diawara and Aristide Bance so far, with Nakoulma and Diawara seen as mobile options while Bance a static target man. There will be reliance on the Traore brothers, Bertrand and Alain, as well as Nakoulma, a probable starter on the wing this time, will have to come up with the goods for the Stallions. Henryk Kasperczak favoured Ahmed ‘The Jaguar’ Akaichi as the main striker for their first two games before dropping him for Taha Khenissi, but the Esperance striker isn’t a significantly better option than Akaichi. Youssef Msakni and Wahbi Khazri are more than capable of coming up with the goals, and were able to against an open Zimbabwe side, but that isn’t the chief responsibility of their roles.